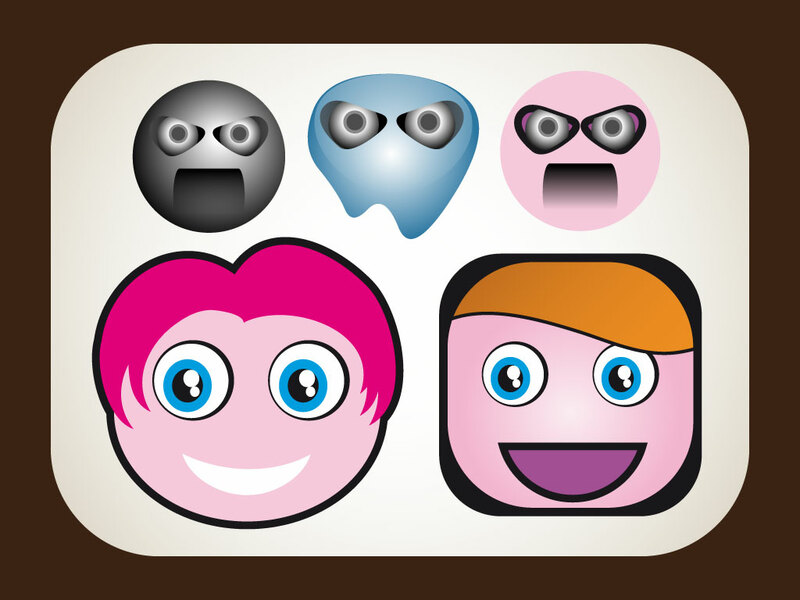 This modern style vector cartoon pack contains: angry emoticon, furious smiley, strange ghost character, smiling faces with colorful hair, eyes and mouth. Fun characters for your cartoons, fun and kid friendly designs. Tags: Boy, Cartoon, Characters, Cute, Digital, Expression, Face, Girl.